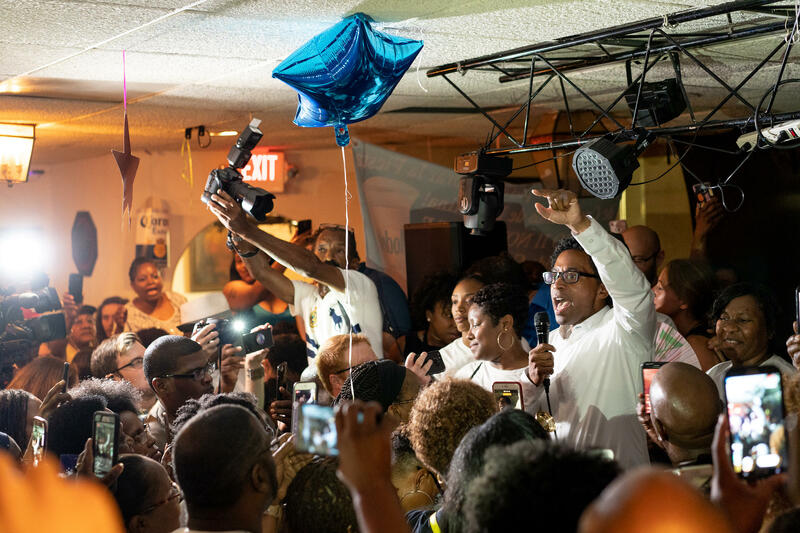 Wesley Bell, who defeated the longtime St. Louis County prosecutor Bob McCulloch, addresses an exuberant crowd at La Mexicana in St. Ann Tuesday night. Bell, who is required by the county charter to give up his private law practice, is also a municipal court prosecutor and Ferguson councilman. He will have to resign those positions as well. The race was shaped in large part by the protests that followed the shooting death of Michael Brown by a white Ferguson police officer in 2014. McCulloch, who won the 2014 Democratic primary just days before Brown was killed, came under fierce criticism for how his office handled the case of Darren Wilson, the former Ferguson officer who shot Brown. Bell ran for office in the aftermath of Brown’s death, pointing to the inequalities that case exposed as a main driver behind his decision to take on McCulloch. Bell pledged major reforms to the way crime is prosecuted in St. Louis County, promising to eliminate cash bail and to never seek the death penalty. In an interview at his election night gathering in Des Peres, McCulloch said he was disappointed with the outcome. He discounted the idea that Brown’s death contributed to his loss, pointing out that the U.S. Department of Justice reached the same conclusion about the shooting as the grand jury. McCulloch had emphasized his long prosecutorial career, calling Bell’s lack of experience in the criminal courts dangerous. But Bell, helped by a wave of outside groups attracted to his reform platform, was able to overcome questions about his ability to do the job. 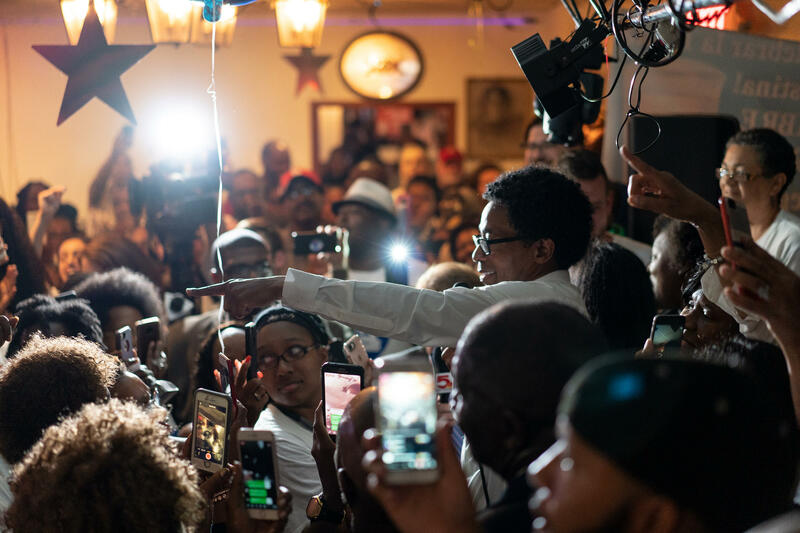 A standing-room-only crowd at La Mexicana in St. Ann listens to Wesley Bell's victory speech, which included Bell thanking many of the people who helped organize and support his campaign. Bell’s race was another victory for those outside groups like Color of Change PAC and Real Justice PAC, which have started focusing on prosecutor and sheriff races in an effort to reform the criminal justice system. Color of Change PAC had pledged $100,000 in organizing and advertising, and opened a field office in north St. Louis County, about a mile from where Brown was killed. “Tonight’s victory is a powerful rejection of Bob McCulloch and his decision to not pursue justice in the communities he was elected to serve,” said Rashad Robinson, a spokesperson for Color of Change PAC. The ACLU of Missouri, along with its national organization, put more than $244,000 into a campaign to educate voters about where the candidates stood on various civil rights issues. Bell had adopted most of the ACLU’s Smart Justice platform for his own. “These results demonstrate that voters care passionately about crucial civil rights issues from the unjust use of cash bail to how long people are sitting in our jails because they can’t afford to pay, to demanding their prosecuting attorney be transparent on his office’s work,” said ACLU of Missouri Executive Director Jeffrey Mittman. McCulloch said he was prepared for the influx of outside money. Activists in the St. Louis area and beyond, which Bell had credited with boosting his candidacy, were ecstatic. WESLEY HAS BEEN DECLARED THE WINNER!!! Omg #BYEBOB! Shaun King, whose Real Justice PAC endorsed Bell, tweeted that the race was the biggest criminal justice victory in years. Hands Up United dedicated the victory to Brown, who was shot and killed Aug. 9, 2014, as did LaShell Eikerenkoetter, who was a key part of the protests in the aftermath of the verdict in the Jason Stockley case. 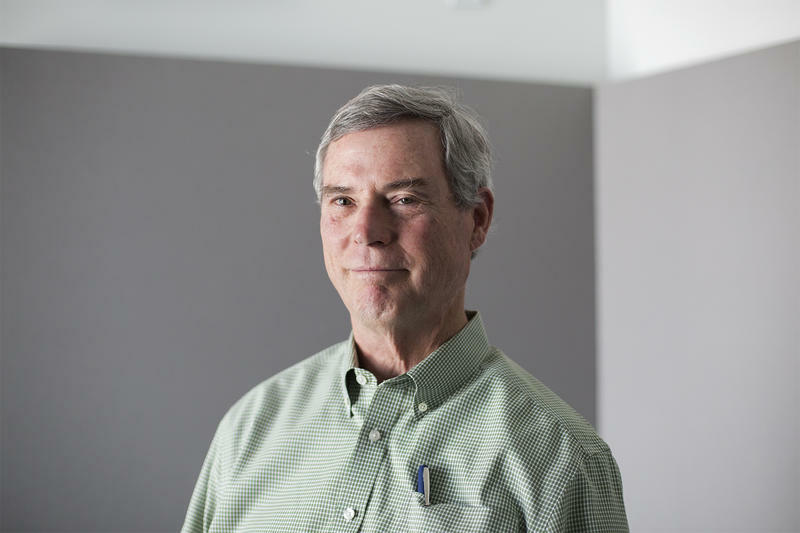 St. Louis County Prosecutor Bob McCulloch joined the Politically Speaking team to talk about his bid for re-election to an eighth term. McCulloch is one of the longest-serving elected officials in Missouri. 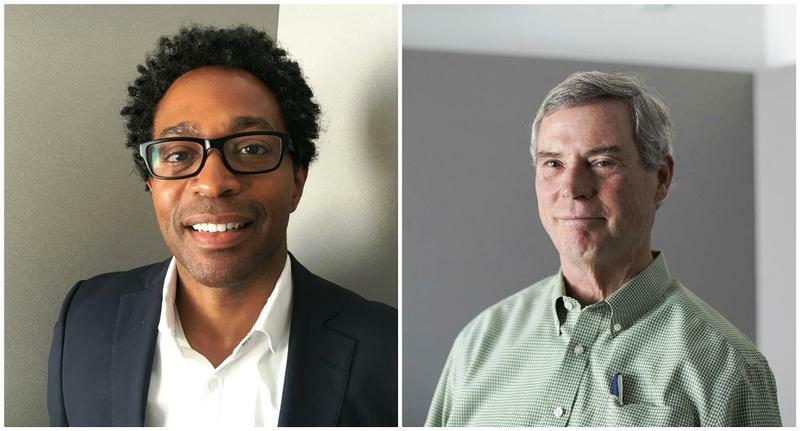 He’s squaring off against Ferguson City Councilman Wesley Bell in the Aug. 7 primary. Because no Republican filed for the position, the winner of the August contest is all but guaranteed a four-year term. 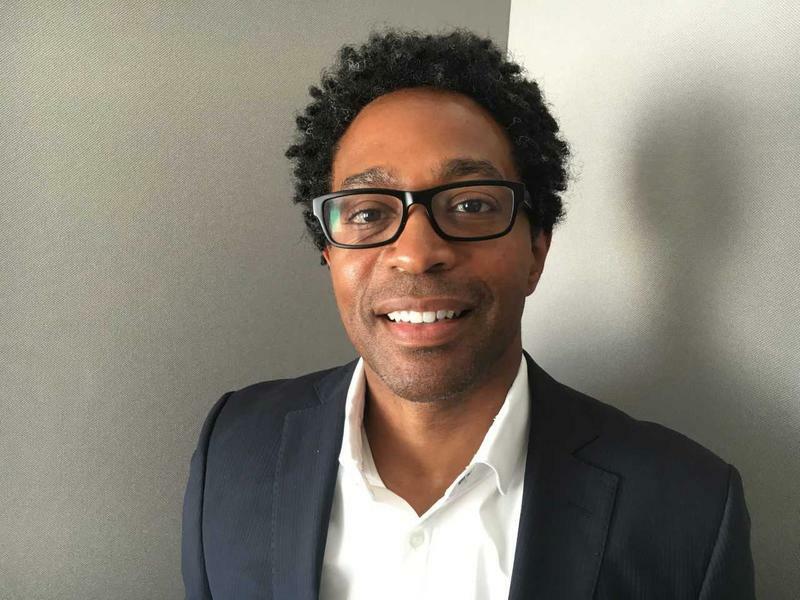 Ferguson City Councilman Wesley Bell comes back to the Politically Speaking podcast to talk about the race for St. Louis County prosecutor. The Democratic official is taking on incumbent St. Louis Prosecutor Bob McCulloch, one of the longest serving local officials in the entire state. Because no Republican signed up to run, the winner of the Aug. 7 primary will serve a four-year term. Bob McCulloch won a seventh term as St. Louis County prosecutor on Aug. 5, 2014. Four days later, 18-year-old Michael Brown was fatally shot in Ferguson. Brown’s death at the hands of a white police officer brought the racial disparities in the region’s criminal-justice system to the forefront and made national figures of both McCulloch and his opponent in the Democratic primary, Wesley Bell.